Say Amen if you happen to be those lucky ones with Topshop stores in the city where you live. Right now I'm back in Surabaya for several days and hearing my friend cringe about how they are dying to queue for Mary Katrantzou's Topshop collection (we don't have any Topshop stores here) makes me realize how thankful I am to have the chance to get these items at Topshop Singapore. Hooray. Chill girls, perhaps I can get some for you too. That's Karlie Kloss wearing the most sought after dress from the collection, at SHOWstudio's first live shoot of 2012 - celebrating a decade of high-street giant Topshop sponsoring the British Fashion Council's NEWGEN scheme. "My idea behind the collaboration was to design for the Topshop girl a range that is as close to the aesthetic of my mainline as possible, with great control over the quality of design and production. I'm astounded that Topshop managed to get it to that price!" Katrantzou says. "It's boned and a very intricate pattern. Plus, only a few of them have been made, so it's something very special. I know anyone who spends that kind of money doesn't want to see every else wearing one." Read more here. 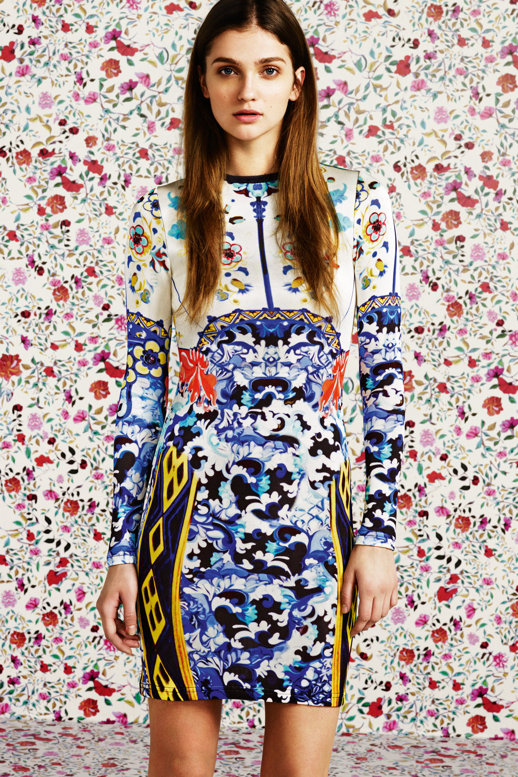 It's more Katrantzou than it is Topshop, which I think are always the best collections from these designer collaborations. Poppy Delevigne debuted the show-stopping bowl dress which costs £350 at the Elle Style Awards and the dress looks amazing on her. I'm worried I won't be able to fit that dress because it's going to be too long on me. Sigh. The line, which includes tops, dresses and a scarf will arrive in Singapore on Saturday 10 March with prices going from S$149 to S$809. View the full collection here. Images from Tumblr. Love that dress in the first pic..
omg it's going to be great!i hope we can purchase her designs from online topshop store.great post! I really love your blog. That`s why he deserve to be in my column. Fantastic writing and fashion stlye, great taste for photos..just EVERYTHING! wow, doesn't look like topshop at all! 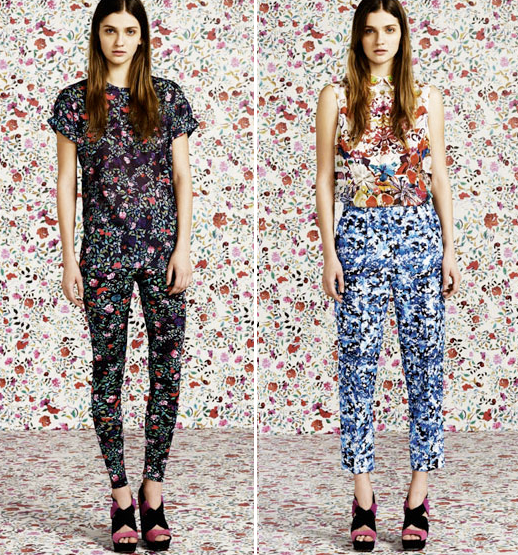 Print vomit, aesthetic cutting, Kantrantzou's signature, all blends in magnificent Topshop with slightly affordable range. If I am happy I don't have to purchase knock off, I will say hooray. They look immaculately beautiful but at second, third view they look slightly like a knock off. Sorry. Still beautiful nonetheless.